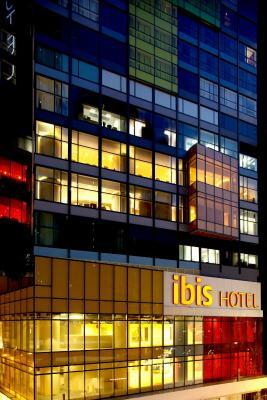 Lock in a great price for Ibis Hong Kong Central & Sheung Wan – rated 8.2 by recent guests! Large dinning room. Breakfasts were good, with plenty of variety. Scrambled eggs had cheese cooked in. Our 13th floor room had a great view of the street from the large orange tinted picture window (got used to the tint). While the room was small, there was a counter stretching almost the whole width of the room to put things on. 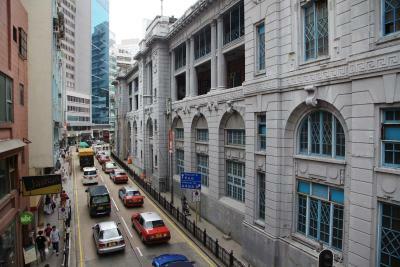 Within walking distance of an MTR station and the waterfront walkway. Starbucks and a restaurant steps from the hotel. 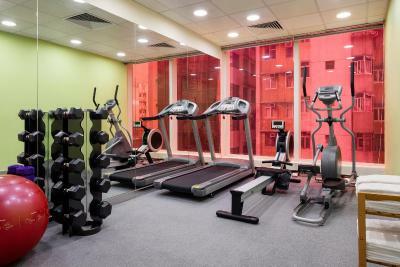 Great location for walking and exploring, close to ferry terminal, public transit and both old Chinese neighborhoods and modern shopping vetted. Location is great, especially bus stops returning from airport. 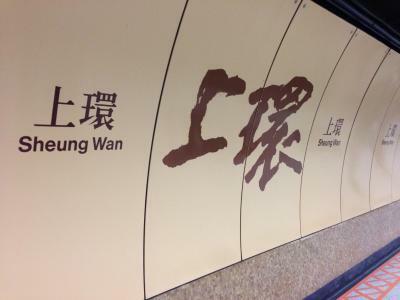 Located at CBD area, quite convenient for taking MTR and local bus. There are a lot to explore nearby. Staff at reception are friendly and polite. Cleaner ladies said good morning to me everyday. Great location, with tram stops and an MTR station just around the corner, or you could easily walk to the Central District / ferry piers. We also appreciated the shuttle bus (included in the price of the Airport Express Link ticket) dropping us off right outside the hotel. As we arrived very early in the morning we were fortunate to be able to check in early so we could drop our bags and shower before heading out again. Breakfast was generous, with a lot of choice, and plenty of time to enjoy it. We paid extra for a room with a view of the harbour and it was definitely worth it, with the lights at night especially spectacular. Location was good. Room was clean. Small but efficient. 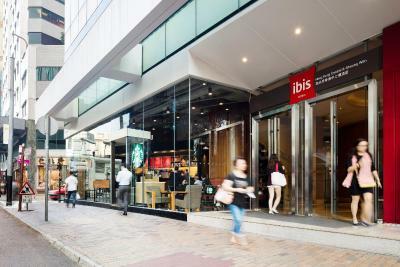 Ibis Hong Kong Central & Sheung Wan This rating is a reflection of how the property compares to the industry standard when it comes to price, facilities and services available. It's based on a self-evaluation by the property. Use this rating to help choose your stay! 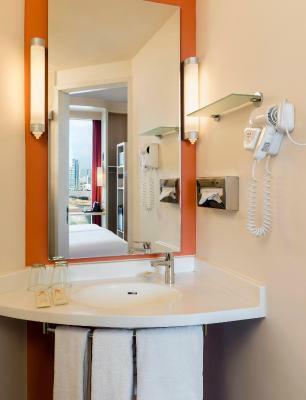 Located in the heart of Hong Kong's commercial and cultural district, Ibis Hong Kong Central provides modern rooms with private bathrooms. 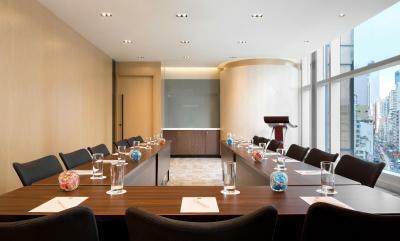 It is only an 8-minute walk from Sheung Wan MTR Station (Exit C) and offers free WiFi in the entire hotel. For your convenience, free shuttle bus from the hotel to Hong Kong Airport Express Station is provided and it takes around 10 minutes. 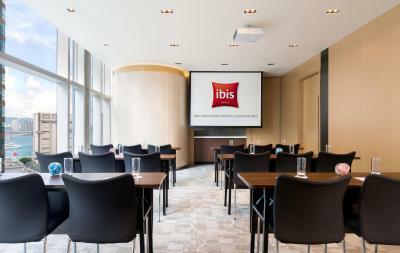 Ibis Hong Kong Central & Sheung Wan is a 5-minute walk from HK-Macau Ferry Terminal. It takes 40 minutes by taxi from the Hong Kong International Airport to the hotel. 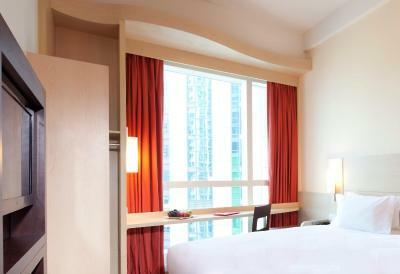 All rooms are air-conditioned and feature a 32-inch LCD TV, fine beddings and furnishings. They are fitted with timber flooring and have a safe, a fridge and free toiletries. The rooms offer views of the harbor or the city. TASTE restaurant serves an international breakfast buffet. LE BAR offers both local and international dishes throughout the day. Room service is also available. A variety of local dining options can be reached nearby within a 15-minute walk. 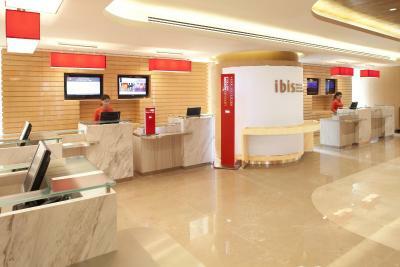 When would you like to stay at Ibis Hong Kong Central & Sheung Wan? All rooms are air conditioned and feature a 32-inch LCD TV, fine beddings and furnishings. 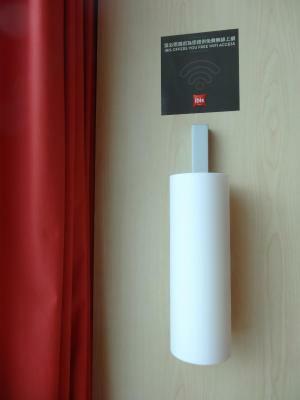 They also have a safe, a fridge and free toiletries. The rooms offer views of the city. Kindly note that breakfast inclusive rate includes breakfast for adults only. Extra charge applies for extra pax (including children) breakfast. Offering large bay windows, all rooms are air conditioned and feature a 32-inch LCD TV, fine beddings and furnishings. They also have a safe, a fridge and free toiletries. The rooms offer views of the harbor. All rooms are air conditioned and feature a 32-inch LCD TV, fine beddings and furnishings. They also have a safe, a fridge and free toiletries. The rooms offer views of the harbor. Family room features connecting rooms. There is 1 room with queen-size bed and 1 room with 2 single beds, making it a perfect choice for a family with two children or group of friends. 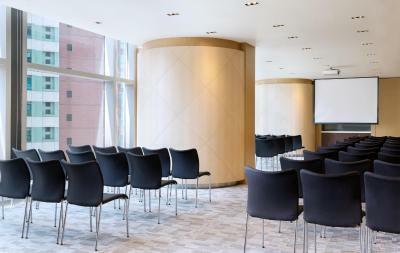 The breathtaking harbor view is featured with the spectacular skyline culminating with the light show at ICC Tower and other skyscrapers across the harbor. House Rules Ibis Hong Kong Central & Sheung Wan takes special requests – add in the next step! Ibis Hong Kong Central &amp; Sheung Wan accepts these cards and reserves the right to temporarily hold an amount prior to arrival. Ibis Hong Kong Central & Sheung Wan accepts these cards and reserves the right to temporarily hold an amount prior to arrival. Name changes are strictly prohibited for nonrefundable bookings and within the hotel's cancelation policy. Hotel will charge the total room price plus 10% service charge as cancelation penalty for all nonrefundable reservations. From 01 September 2017, the property will be nonsmoking throughout. For booking paid in advance by credit card, the same credit card is required to present upon check-in for verification. Otherwise, you will need to settle the payment by cash or by alternative credit card with guest's name matched. Please note for breakfast inclusive rate, it includes breakfast for adult only. Supplement applies for extra pax breakfast (including children). Great hotel in amazing location! I would recommend this spot to everyone visiting Hong Kong! It is so affordable in such a PRIME location and the room was clean, comfortable and spacious. The staff are very friendly and I was upgraded to a harbour view upon arrival! Walking distance to SOHO, Central and lots of great cafes and restaurants! The bathroom cleanliness could have been better. The shower didn't drain all the way and the bathroom walls needed a scrub. I know HK is very humid so this may not be something that can be helped but the room even with air conditioning felt fairly humid. Enjoyed the location and when I emailed about transportation prior to arrival, Ibis responded directly with great directions. The room had good space and air-conditioning. In very humid weather, it can be a challenge to walk to the hotel from the MTR station. It's a walk-able distance, but still some distance. Room is very clean and well furnished. Complementary bottled water is provided. Room as more in HK is a little small. The bathroom have a particular smell (nothing nasty, just a smell). The TV have not west or american channels. Location is close to MTR. Starbucks is located in groud floor. The breakfast is good to start the day! Not all lifts travel all the way to/from the ground floor, so we found ourselves frequently getting caught out and having to change at the 5th floor, which became a bit annoying. They do everything possible to make the stay enjoyable. Very good advice, drawn on a map, extremely nice employees, rich morning buffet and splendid harbour view. Perfect location for party goers with Soho nearby, perfect location for shoppers and culturally interested with Hollywood Rd and park, Upper Lascar, Tai Kwun, etc. And so near the Macao Terminal and Central Station. Could be better accessible from a metro stop. Location is slightly off the center, so that walking (with small children) is a challenge in the typical temperatures. 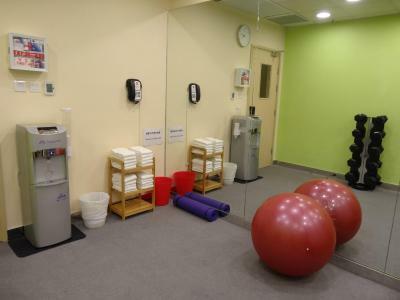 Location is well accessible for traveling inside the city, the rooms are clean and not to small for Hong Kong standards. Mattress was a bit hard. Great location with easy access to public transport. Room was small. Air conditioning didn't seem very responsive. Limited TV channels. 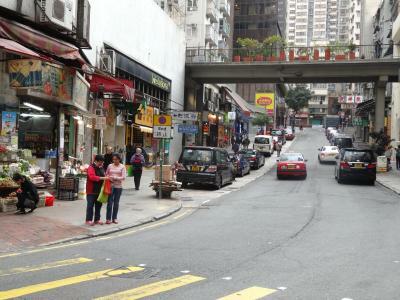 Good location - right in the middle of action near central and Sheung Wan. 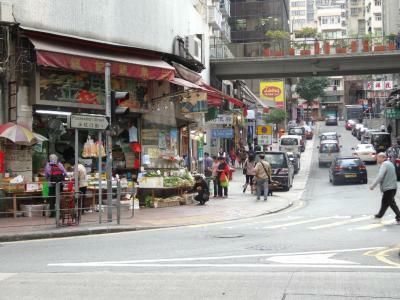 Walkable from MTR, with accessible trams that bring us close to the hotel. Many restaurants and amenities nearby - there is even a Starbucks right at the bottom of the hotel! Good views of the harbour from our room. Refillable water. Friendly staff. Highly recommended!